Holly is a member of the US State Department and will be going on a year long assignment overseas, from 7/8/2019 – 7/11/2020. Holly is looking for a foster home near Alexandria, VA, to care for her two, FIV+ kitties, Abbey and Sadie. Abbey and Sadie were littermates, are both 3 years old, spayed, and up to date on their vaccinations. 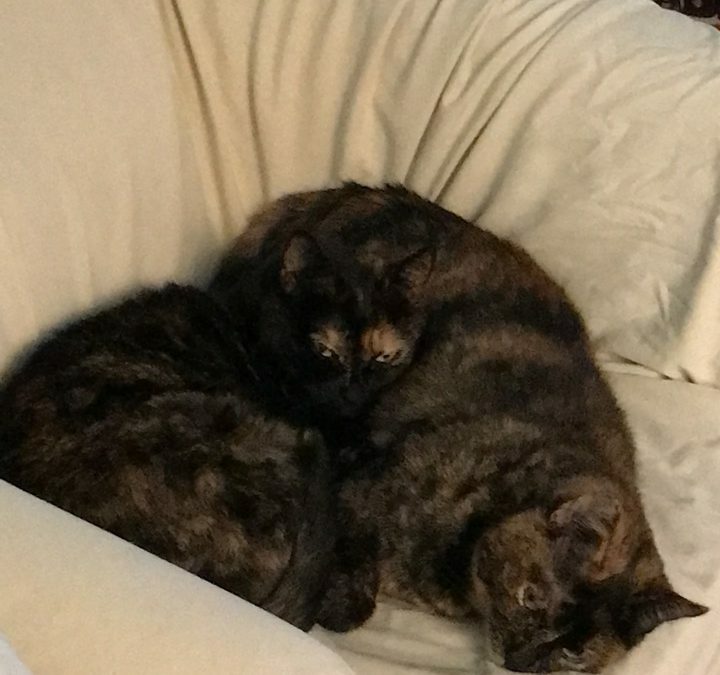 The girls are each about 10lbs, they love to snuggle and be near their people. Abbey is a little more outgoing than Sadie, and will want to be in a lap if you let her! Sadie, though a little more shy than her sister, can be quite talkative during playtime. Both cats enjoy using their scratching posts and playing with toys, but generally they just like to be near their people. Can you offer these two babies a safe place to stay while Holly is away? If you are interested in fostering wonderful pets like Abbey and Sadie, please fill out a Foster Family Application. If you are interested and have already completed your Foster Application, please email info@pactforanimals.org and let us know!